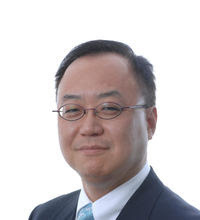 ROCHESTER, N.Y. -- Nazareth College welcomes Kenneth Rhee as the dean of the School of Management. He will partner with the Vice President for Academic Affairs, deans of the other Schools and the College faculty in implementing the strategic vision of the College. The mission of the School of Management is to develop value-centered leaders who become engaged contributors to their professions, organizations and communities. This is accomplished through learner-centered programs that are experiential, global, ethical, and entrepreneurial in orientation. Rhee began his new position July 1. "I would like to bring enthusiasm and fresh perspectives to Nazareth to create a compelling vision that will inspire faculty and staff, and energize the School of Management to move forward to meet the future challenges, and to capture exciting opportunities," said new Dean Kenneth Rhee. "I hope to engage the Rochester business community to create more significant opportunities for our students so that that they will have more compelling stories to tell as our future alumni." Rhee comes to Nazareth College from the University of Wisconsin, La Crosse, where he is the associate dean and professor of management for the College of Business Administration. Prior to his appointment at UW La Crosse, he was the program director for Executive Leadership and Organizational Change program in the Department of Management at Northern Kentucky University, program director of Haile/US Bank College of Business at Northern Kentucky University, and Chair of the Weatherhead School of Management Assessment and Development program at Case Western Reserve University. His main areas of research are competency development, adult development, and leadership. He has worked extensively on competency assessment and development over the past thirty years with Fortune 500 organizations and non-profit and government institutions. Some of his former clients include Coca Cola, Coopers and Lybrand, BF Goodrich, LTV Steel, Lexmark, NASA, Children's Hospital, Cincinnati and others. He has also been working in emotional competency development and leadership development coaching for the past twenty years. He has also delivered numerous emotional competency development programs and speeches to a number of organizations including Northwest Airlines, Family Business Institute, SeaWorld Entertainment, Bureau of Public Debt, and Lucent Technologies. Dean Rhee has his bachelor's degree in Chemistry from Johns Hopkins University, master's degree in Chemistry from Rensselaer Polytechnic Institute, MBA from Boston University, and Ph.D. in Organizational Behavior from Case Western Reserve University.